To be among the top ranked site requires a lot of work hard work and persistent and this ought brings about high competition among sites to ranked as above others. Advertisers are looking highly ranked site to promote their business. Sites that rank high are most likely to generates high income and receive a lot of traffic from search engines like bing, yahoo and google search. Google is a search engine which has help thousands of Nigerians get available information online. This sites has marked our list as the most visited sites in Nigeria. With google.com.ng every thing possible can be searched in Nigeria. This Website is a cool site poised in providing updated information to visitors. Naij.com came alive during the controversial period of Dr. Goodluck Johnathan as the president of Nigeria. This site came alive as a News and entertainment-oriented web-portal and it is concern in providing latest info on politics, Jobs etc. Naij’s forum and social network is also a division of naij.com which has gotten many Nigerians connected. MMM office is the official site of the popular Ponzi scheme MMM Nigeria. This site came back on the 14th of January 2017 after much speculations by thousands of Nigerians that the company has gone away with their money. MMM, The popular Ponzi scheme paved way to other Ponzi schemes in Nigeria. MMM is owned by a foreigner and the site has thousands of Nigerians trooping into the site daily. Another Site This site is taking the affiliate marketing providing all available things that can be purchased online. Their services include: hotel booking, technology, phones and gadget, household equipment and furniture. etc..
Jumia.com.ng is an online platform that connects the people to the various things online. Since sport betting came into Nigeria this site has been the hotcake in providing latest online updates on live scores and sport betting. With this site, one can bet or generate pin for betting. Bet9ja is owned by Victor, Former sugar eagles player which has helped the site to be popular as an indigenous bet shop. Couple with its own ingeniousness, this site is beautifully organized with carefully navigated themes. Naijaloaded.com according to its name is truly loaded and that’s why this site has made our list as one of the most raked sites in Nigeria. This site is loaded with wide spectrum of information, ranging from music entertainment, education, technology. Etc. 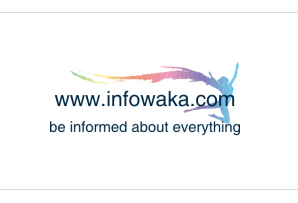 According to its publishers, this site stands to be Nigeria’s number one online portal which stands to give you Info about Nigeria most especially on daily basis. Nijaloaded.com was created in 2009 and since then, the site has risen to be one of the most visited site in Nigeria with more than 40 million page views monthly. In 2013, this site was awarded the best music/video download portal by too xclusive music. That same year, the popular site also receive the award as the best entertainment portal. Another site that takes the list as one of the top most ranked site in Nigeria is: Konga.com. This site is Nigeria’s largest online mall, but not owned by a Nigerian. The speedy growth of this site marvels many as it was created in 2012. This site has ranked the best online shop in where Nigerians can buy all the desire ranging from electronics, computers, phones, fashion, sport fitness and more. Konga.com was founded by sim Shagaya with just ten workers, but today, this site has employed more than 2000 of Nigerians. Its headquarters is at Lagos. With thousands of people who have not collected their 30 percent acclaimed interest of the popular mmm, the site s has been visited regularly by mmm participant to check if the will be merge. According to the founder, the aim of mmm is to help kill greed by showing a helping hands to someone who might be in need. Mmmoffice.com like other Ponzi scheme sites has ranked quickly in its short inception. In the past months, Nigerians have quickly embraced Ponzi schemes, though some of them have proven to be unreliable. The love for money among Nigerians couple with the nation’s economic recession has helped this site to rank quickly as one of the most visited. Social networking and microblogging service utilising instant messaging, SMS or a web interface. Twitter is an online news and social networking service where users post and interact with messages, “tweets,” restricted to 140 characters. Registered users can post tweets, but those who are unregistered can only read them. A lot of Nigerians are engage in this social media network. Linda ikeji’s blog is an entertainment blog which has poised to be one of the most ranked entertainment blogs in Nigeria. In 2014, the site received an award as the best entertainment sites in Nigeria. This site came on board in the year 2017 and has continued to remain in the top 10 blogs in the recent time.